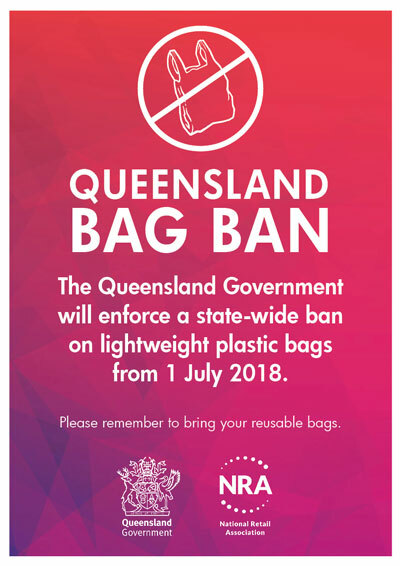 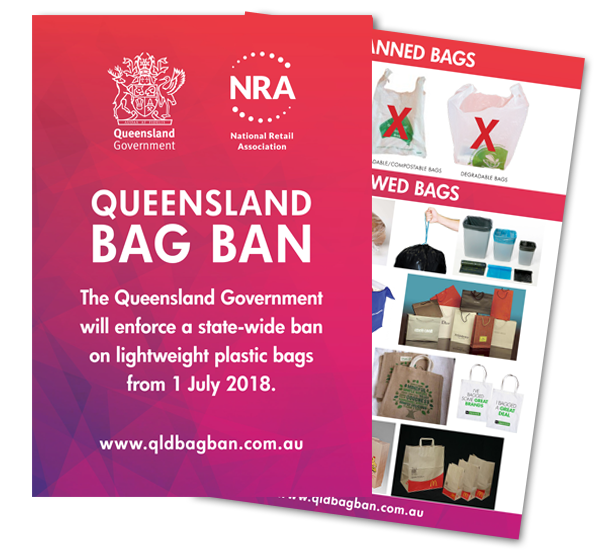 The NRA has created a large range of resources such as staff training kits and signage to assist retailers with the ban on single-use lightweight plastic shopping bags. 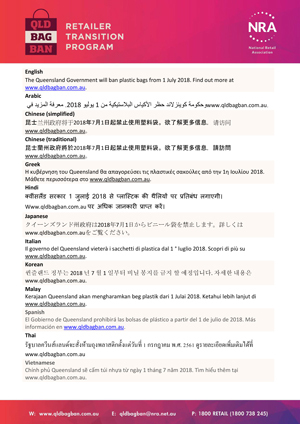 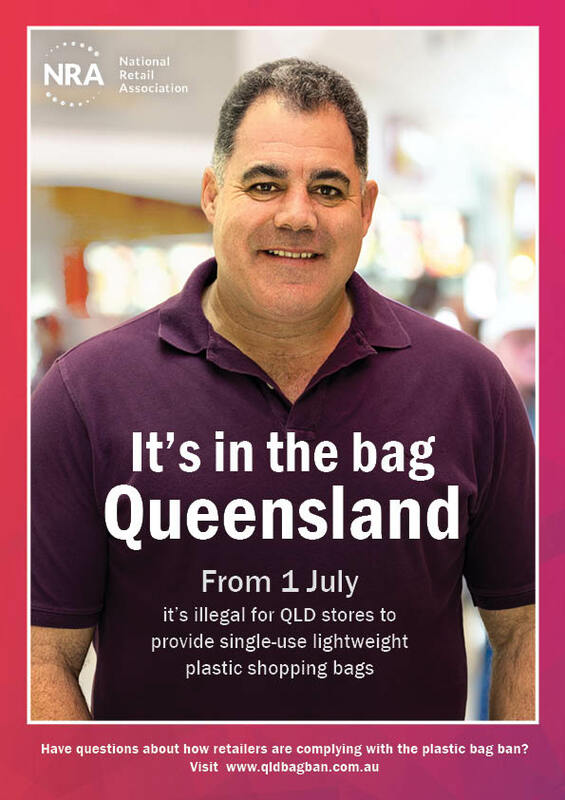 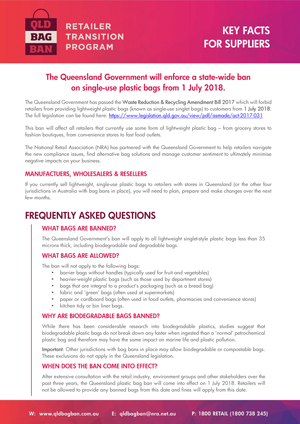 Queensland great Mal Meninga has joined forces with the National Retail Association to launch a state-wide education campaign asking consumers to get behind the Queensland Government’s July 1 ban on single-use lightweight plastic shopping bags. 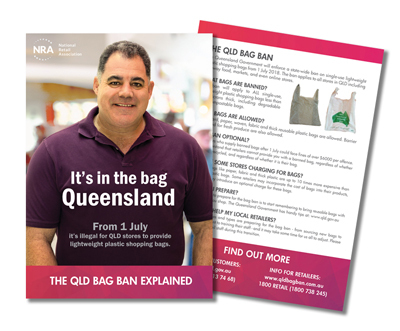 The following factsheets are designed to help retailers and their teams to manage the bag ban transition. 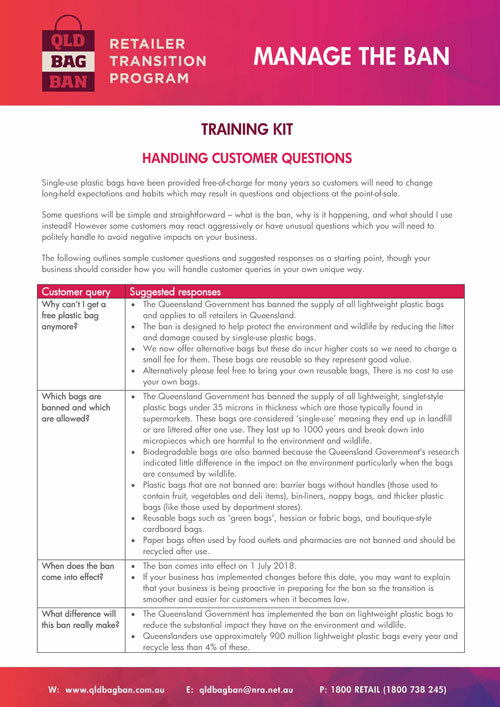 The following training resources are designed to help retail teams to manage the bag ban transition. The following signs can be used by retailers to display around your store to inform and remind customers of the bag ban. 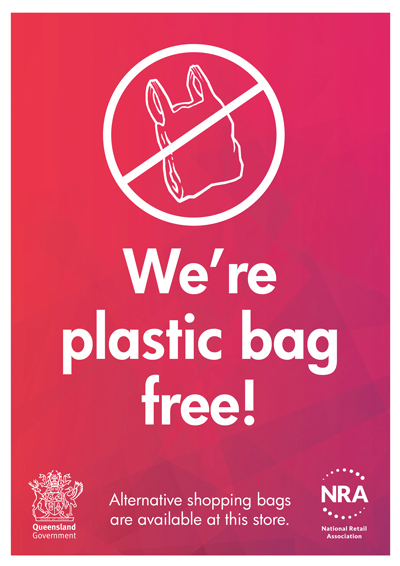 Place these posters on your shop window or entrance door to prompt your customers to remember to bring their reusable bags. 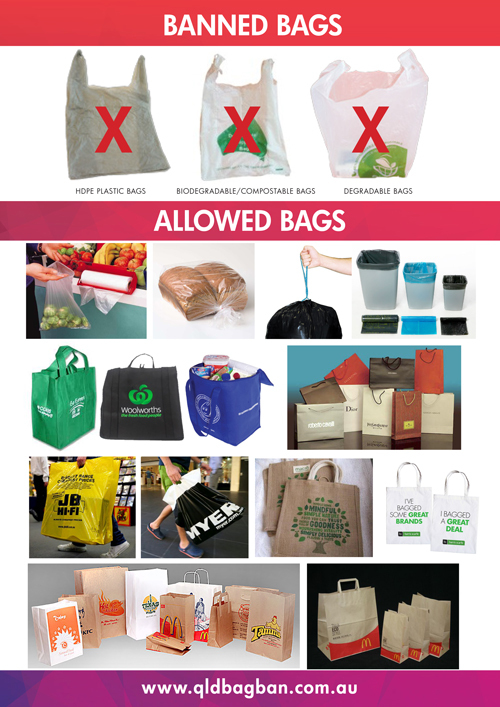 Place these posters on your shop window or entrance door to let customers know that you have alternative bags available. 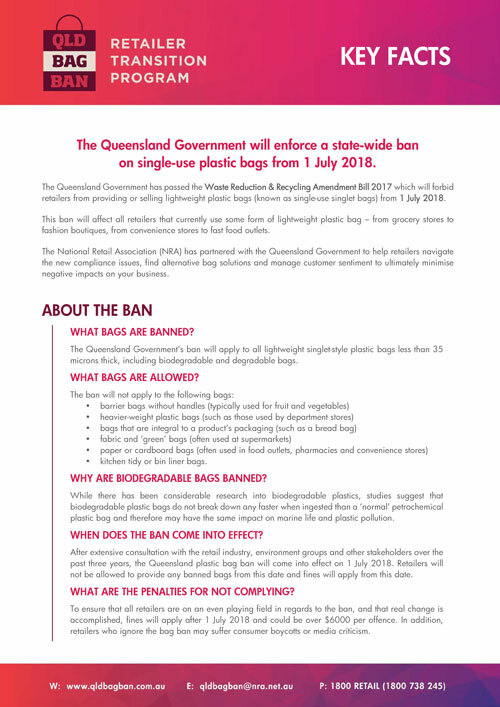 Place this double-sided counter card near your register so customers are informed on one side, and staff are aware of what bags are banned on the other. 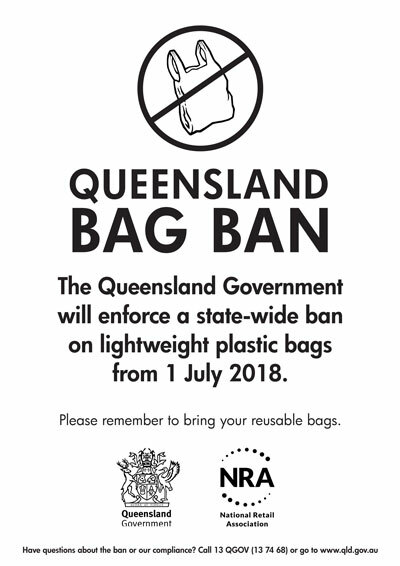 This poster is only to be used by retailers who do not use ANY form of plastic bag, even legal ones. 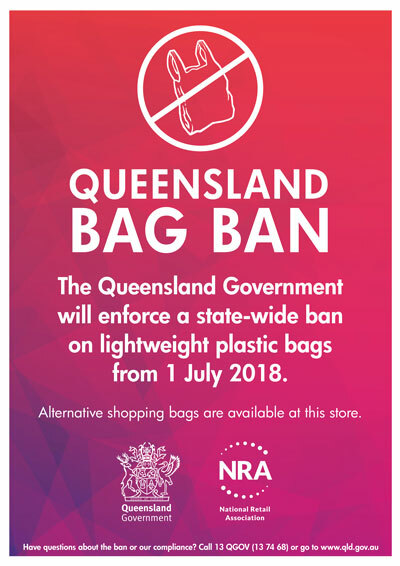 Retailers across Queensland are moving away from single-use lightweight plastic shopping bags towards more sustainable alternatives.